Why doesn't GM get that its RWD offerings from Down Under don't work here? As much as we love them, they don’t work here for whatever reason. I don’t think it has anything to do with the cars being rwd. Chrysler has sold tons of 300’s and Chargers for years and other rwd vehicles have sold well so what gives? 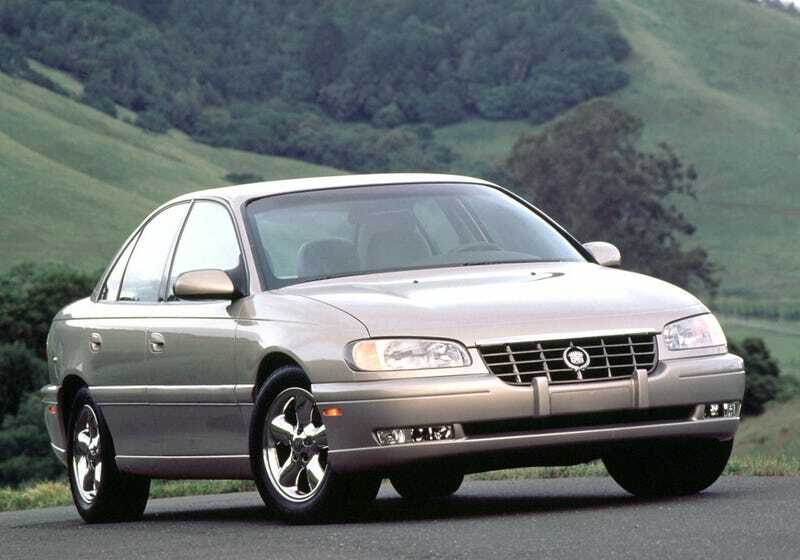 The Catera was a solid offering from Cadillac that was supposed to be a sports sedan. It had plenty of marketing with those catchy “The Caddy that Ziggs” commercials that I remember as a kid. Aside from the quality issues it was a good car that could have been better but it didn’t sell well at all. The GTO, which was platform related to the Catera and was one of Bob Lutz’s babies, was a well known flop but a capable muscle car, especially after it received the 400 horse LS2 in 05. But we all know the invisible styling was one of the major problems with it. And it really didn’t have any advertising. Again, great car, but flopped. Recently we had the (R.I.P) G8 and the often compared to M5 G8 GXP (which is a Unicorn on the used market). It was even better than the other two cars, but it flopped hard and went when Pontiac went under. Again, it had no advertising at all. I was at a GMC Pontiac dealer and we had 3. Customers came in and had no idea what it was or that it existed. Even some Pontiac fan boys. Another excellent car but flopped. Recently we have the SS. Its been called an excellent drives car with some even saying get one over an SRT8 Charger because it can handle itself in the twisties. But I think you can call it a flop. Yea its true that GM wasn’t going to bring over a lot from down under, but even the few they have brought over haven’t sold. Some dealers still have 14’s. Again, great car, but same problem as before: invisible styling, no advertising. So why does GM keep trying? Its great they have these cars for the few enthusiasts out there, but I thought they would have given up mid cycle with the GTO. Why do you guys think these cars didn’t or don’t sell, and why do you think GM keeps trying?